The following text will be published in the program for A Tale of Two Cities, presented on February 24 and 25, 2018. Returning to Winnipeg after a 20-year absence has been, in many ways, a gratifying experience. I’ve been offered wonderful artistic opportunities that have given me fresh perspective and challenged me to continue growing and expanding. Along the way I noticed certain similarities between another well-travelled family – the Gabrielis, whose travels to study with Orlande de Lassus are well documented. I began thinking about a concert that was focused on their music, and the passage of time… and this program was born. What we have here is a slightly different Tale of Two Cities – not French written by an Englishman, but Italian conceived in Winnipeg! St. Mark’s Basilica, in Venice, Italy. This concert explores several composers and the musical moment they helped define, given form by the rise and the fall of the cori spezzati. This is another term for music performed by multiple choirs, often in alternation, which later became Venetian polychoral style. This musical trend was an important one, but the lessons surrounding it are of equal interest to me. 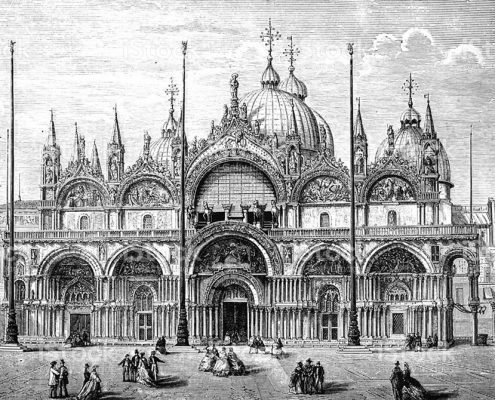 In Venice, and especially at St. Mark’s Basilica, this style of music was developed in a sort of institutional way, dependant on certain architecture, the availability of certain instruments and certain musicians, and especially the presence of certain composers. When I say “institutional way,” I mean this: that the leadership there showed great foresight to hire composers at the forefront of the profession – Adriano Willaert, Cipriano da Rore, Andrea and Giovanni Gabrieli, and later Claudio Monteverdi. That’s some exceptional decision-making, choosing la crème de la crème. And it was those creative voices who, each in their own turn, put an exceptionally beautiful building – St. Mark’s Basilica – at the head of a musical movement. It goes without saying that institutions get ahead by choosing personalities that can be at the front of a trend, or even better, can define a trend. That creative personality puts a new vision into practice, and that vision ultimately defines the success of an institution and its continued relevance. Venice – and St. Mark’s in particular – were at the forefront of musical trends for nearly a century, but they risked falling behind the next major movement if they held on to the previous one for too long. And it may also be effectively argued that there is value in being on the wrong side of a trend. 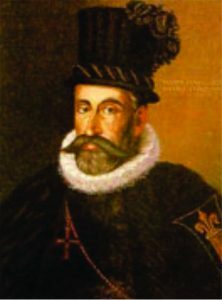 Much wonderful music for cori spezzati was written after this story line ends in 1615, as the style influenced Roman, German and French compositional techniques, though seconda prattica changed the flavour of the writing significantly, offering a different perspective on the style. And so, Venice circa 1580 and Venice circa 1615 are really two different cities at the fundamental, creative level. One is at the height of the Renaissance – the productive flowering of a massive renaissance compositional style. The other, at the height of its musical power just before the fall, with a new compositional style already emerged and waiting in the wings for the end of this story. The story of early Venice is focused on the senior Gabrieli – Andrea, uncle to Giovanni and the creative mind responsible for the early development of the cori spezzati style of composition. He was a great organ virtuoso, expected to compose while his counterpart took care of the day-to-day administration of a 40-member group of singers and instrumentalists. Andrea had a unique creative and analytical mind. In his later years, having studied with Willaert and Lassus, he conceived a style that would allow many choirs to participate without ruining musical clarity with too much counterpoint. Music on this large scale, for up to 16 voices, was difficult to create on the spur of the moment. Special music for special occasions were created well in advance and then unveiled at an appropriate time. We are not sure, for example, when the Gloria on tonight’s program was written. We only know that its première was given during an important visit by Japanese diplomats. Andrea’s compositions show us how impressive a wall of sound can be. The approach is often subtle, as with the beginning of the Gloria or the Kyrie, entering quietly but building to an impressive and dominating sound involving chords that can vibrate the whole body. These pieces, much like English polyphony from around 1490 to 1540, were built to impress, overwhelm and even intimidate. They affirmed Venice’s place in the world. Andrea was an adept composer who had great emotional range, as the concluding Maria stabat ad monumentum (and his many madrigals) proves. Andrea was among the students of the legendary Adriano Willaert. Adriano and his friend Jachet de Mantua create a prologue to our tale. Willaert, the Flemish master of composition, a pedagogue, theoretician and independent thinker, remained largely under private employ during his career in Venice. He held a position at St. Mark’s, teaching the who’s who of the next generation of composers to inhabit St. Mark’s – especially Cipriano da Rore (a great influence on Monteverdi) and Andrea. His early attempts with cori spezzati may seem somewhat half-hearted, but his is a completely different style of composition which uses more intricate polyphonic writing in sparse 8-part moments than Andrea uses later on. Giovanni Gabrieli and Giovanni Antonio Rigatti end the tale. 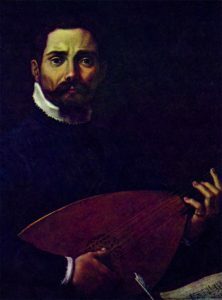 Rigatti, who studied at St. Mark’s as a boy, was witness to the arrival of the seconda prattica which Monteverdi championed. His solo piece, O dulcissima virgo, is intensely instrumental in style, showing how far vocal practice had come in just one generation. You can detect these changes in Giovanni’s works too – the ending of Salvator noster, the rhythmic intensity in Omnes gentes, and the virtuosic cantata In ecclesiis all point in their own way to the arrival of a new style of rhythmic vitality, but with large forces still being the fashion, it is a bit easier to disguise just how much rhythm and embellishment informed music at that time. Giovanni took what his uncle had created and developed it, adding more and more elements and, in the case of In ecclesiis, starting a new trend that favored solo voices. His is a more complex style of counterpoint and heightened, intensive rhythmic structures. It is much like a master painter’s studio from that time. Someone provided the frame of the painting, the broad strokes if you will, and everyone in the studio was responsible for filling in one section or another as their specialities suited. Andrea, the framer, and Giovanni, the specialist. Not to be overlooked, Andrea and Giovanni wrote at different moments in history and for different styles, but equally importantly, for different personnel. Appointments to the choir of St. Mark’s, or to a leadership position, were for life as long as posts were not neglected. Andrea was writing for a much older choir than Giovanni was. Not only was the style of music changing to a more rhythmic presentation during Giovanni’s day, but he had the energy of personnel renewal on his side. He could confidently write for his choir in a way that Andrea perhaps felt uncomfortable doing. I’ve wondered aloud from time to time whether Andrea gave more license to his performers to add embellishment to the music whereas Giovanni made those embellishments clear, though this hypothesis may or may not bear fruit. Hopefully a musicologist will one day consider this. A concert, especially one using historical music, is often a window into a way of thinking, of weighing circumstances, or celebrating that which is exceptional enough to last hundreds of years. It offers us a chance for reflection. As I settled back into Winnipeg, noting changes and similarities, my thoughts were dragged to the question of what change is, and what drives development. History teaches us again and again that it is the truly creative among us who define our moment in history, no matter when that moment comes.